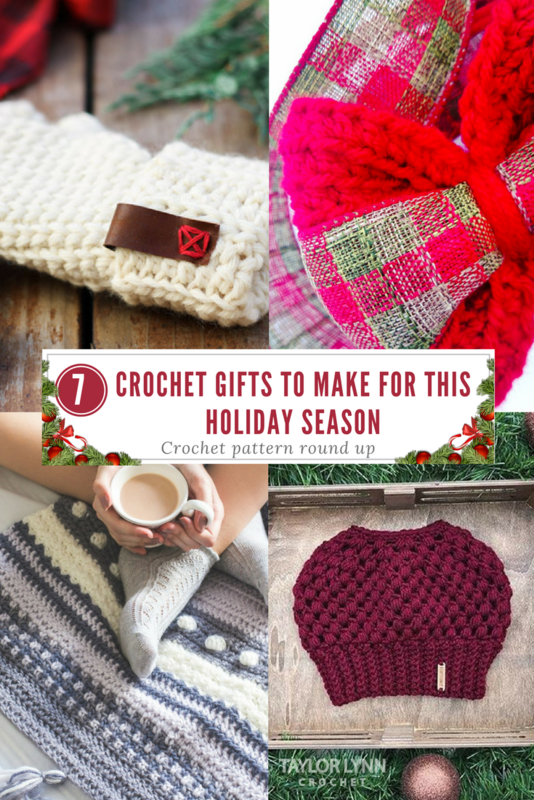 Nothing says I love you like a handmade gift, or 7 😉 With the holidays coming around I thought I would share some of my favorite crochet patterns and makers with you all and hopefully inspire you to buy handmade or make your own! We have such an awesome little maker community full of love and support for one another. If you have any patterns/makers that you just absolutely LoVe please leave a comment with their name and a link to their store/blog/site so everyone can go check them out. Stay positive, be inspired, and keep crocheting! Much love to everyone and best of luck on finishing all your gifts in time for this holiday season! 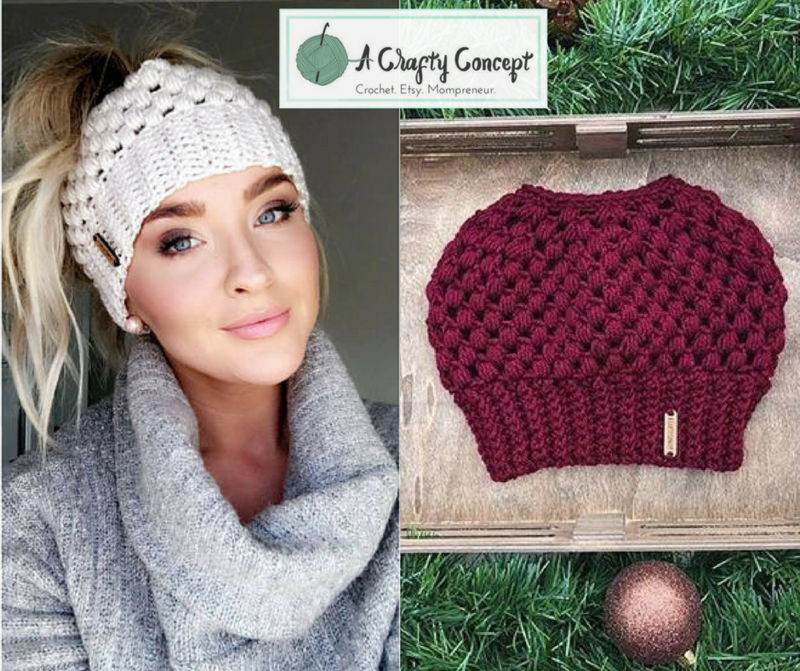 Ashley from ACraftyConcept has PERFECTED the messy bun beanie. No joke ya’ll. 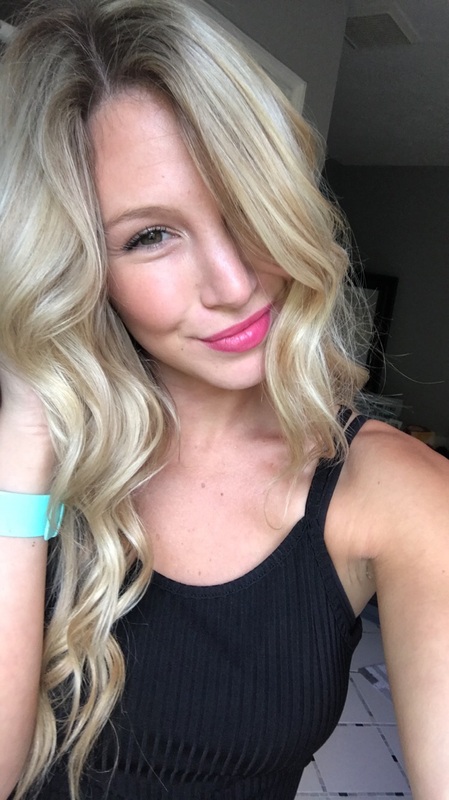 She has a super cute blog with some amazing little tutorials for you all and you should definitely take a few minutes to check it all out! This bun beanie pattern is available for just $5.00 on her Etsy Shop, and if you aren’t sold on my suggestion alone, I highly suggest that you go read all of her raving reviews left by all her happy happy customers. Most frequently mentioned was how easy and detailed this pattern is with tons of photos to help on every step. Don’t have time to make one? You can purchase a finished beanie made by Ashley, on rush order, to get it in time for Christmas! 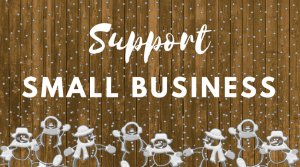 Also in her Etsy shop she has some adorable labels that you can use to add that little handmade touch when wrapping your gifts. They are available via PDF download and would just make the end product that much prettier! 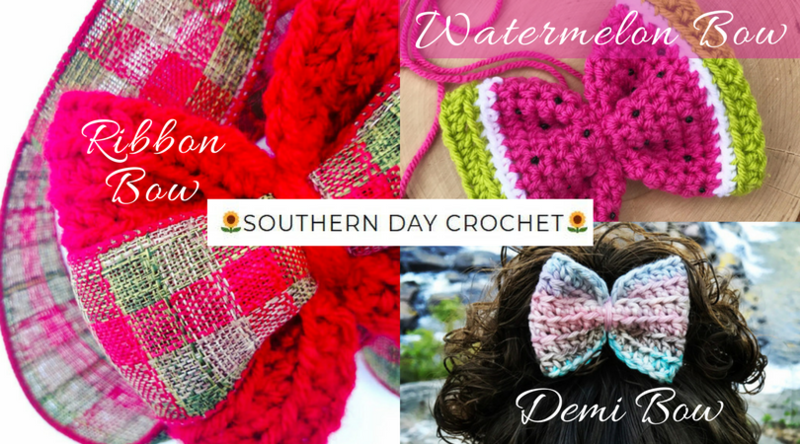 Southern Day Crochet (Formally Kimmie’s Crochet) has the cutest bow tutorials on her blog. These bows are so simple to make and add the cutest touch to any project. Attach them to a bun beanie (Ashley from A Crafty Concept loves doing that! ), a head band, just clip straight into your hair, or even use them to decorate your tree! The amount of things you could use these bows for is endless. This is the Demi Bow, but she has lot of other free bow patterns on her blog as well! I just really REALLY like this one! Now go and make all the bows this holiday season! Olivia from Hopeful Honey is an AMAZING crochet designer you guys. Like the best. She has tons and tons of free patterns on her blog and even more available for purchase in her Etsy shop. How adorable is this scarf though?! I love all the detail she put into what is normally just a basic chevron stitch. She took something ordinary and turned it extraordinary. I sure you have plenty of loved ones who would wear this scarf daily if given the chance! 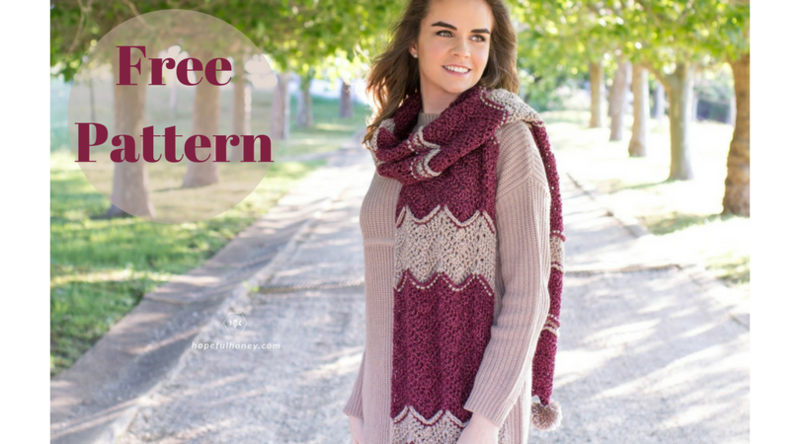 Go check out this free pattern on her blog (or the Ad free PDF from her Etsy)! This girl is so so sweet and so inspiring! Jess from Make and Do Crew has done it again. 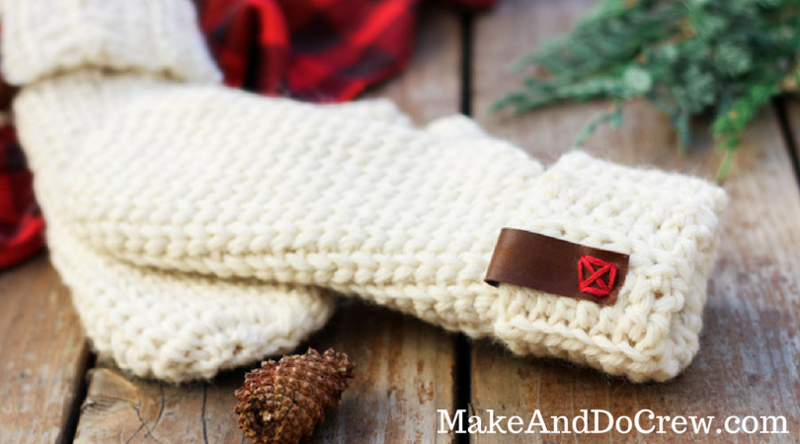 These mittens are the perfect homemade gift for any friends or family who live in colder weather states! This pattern is available for free on her blog or you can purchase the Ad Free PDF here for only $2.75. 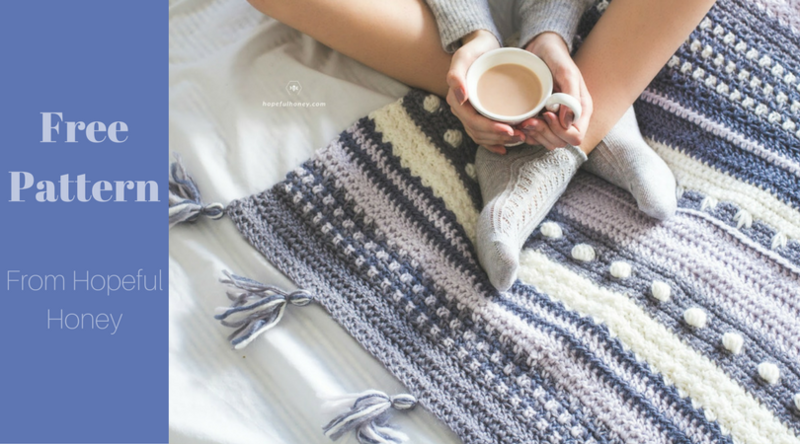 This pattern gives you a knitted look but its crochet! How neat is that! Jess is always so on point with all her patterns. She even has a tutorial on how to dip dye these mittens (or any crochet project really)! I highly suggest that after you make these mittens you take a peak at the rest of her blog and patterns! 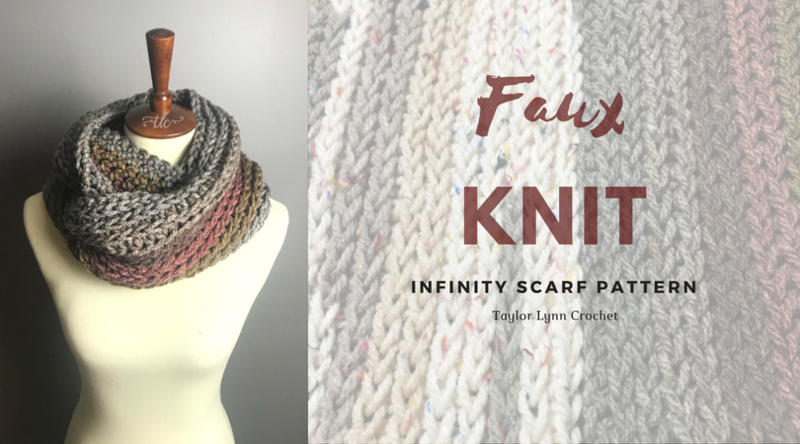 Speaking of crochet that mimics knit… This is my newly released Faux Knit Infinity Scarf pattern. This project works up relatively quickly and its so repetitive that you can make it while watching television. It is very simple to follow. The end product is a gorgeous imitation of a knitted scarf and I love it! It ends up being a very dense stitch which means the end result is a super warm scarf to keep you from freezing during these cold winter months! How beautiful is this wall hanging? Meg from Megmade with Love is so talented! This is the perfect gift if you aren’t comfortable with sizing garments quite yet for other people, or if you don’t have enough time (or yarn) to make a blanket. 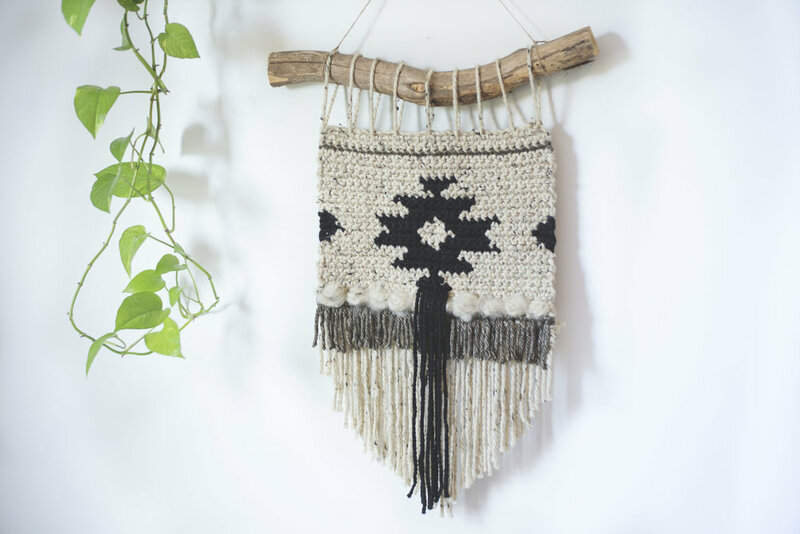 This Geometric Wall Hanging is stunning and the pattern is free on Megs blog. If you prefer a printable PDF pattern, you can snag it from her Etsy Shop for just $2.00! This cute little piece of decor could brighten the walls of any home adding that cozy feel in these cold winter months. These are all links to other patterns by other makers that I love. As far as getting my patterns downloaded, the only way you can do that is to purchase the PDF’s off of my Etsy shop. Otherwise you’ll have to use the site as is. Not all of my patterns are available via Etsy but a lot of them are. What a great round-up! I only crochet (or otherwise DIY) 4-5 gifts each year, but they are always much appreciated. Thank you for sharing.